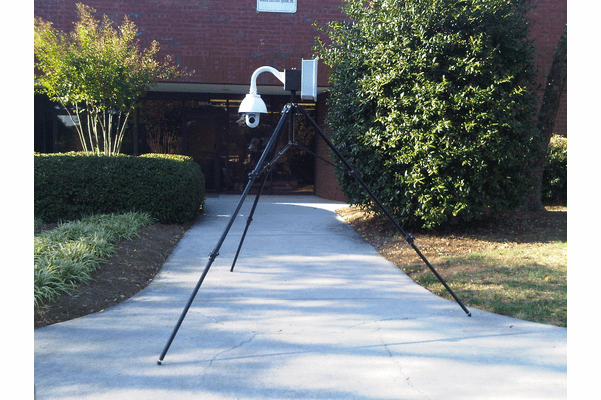 The RD-2100 is a mobile camera system that can be monitored and controllerd remotely. connect assemblies for easy set up and breakdown. Tripod can be extended up to 9 feet tall. The camera's 18x motor-driven optical lens has 4x digital multiplier providing 72x total zoom. connect up to 32 RD-2100 cameras or other simliar AES IP cameras. in and out and/or Panning and Tilting. would be safer and more practical than an actual person.